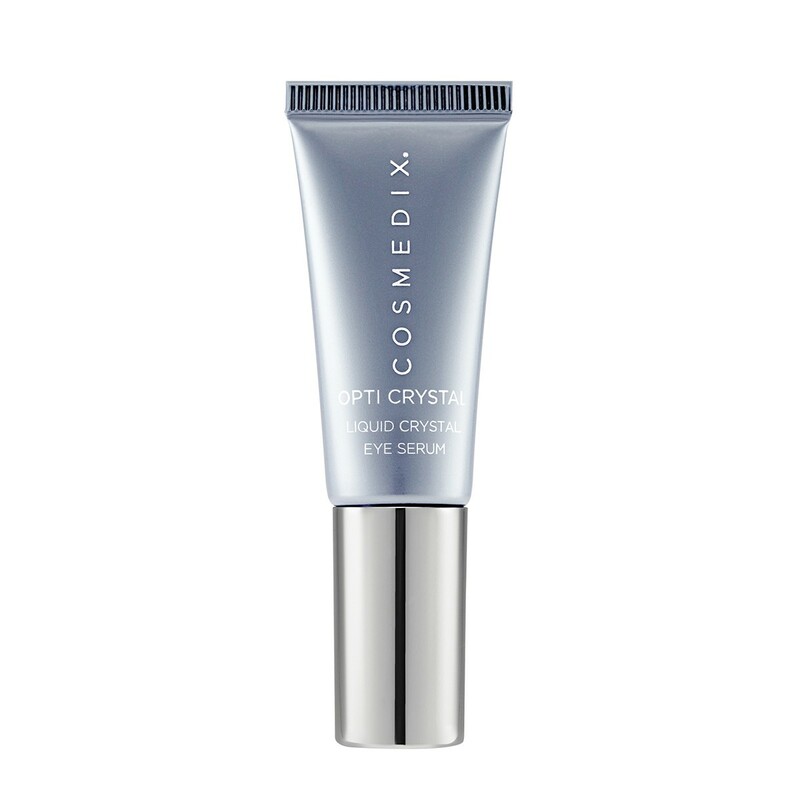 With liquid crystals to replenish damaged, thinning skin around the eyes and growth factors and alpha lipoic acid to dramatically diminish the appearance of eye lines and wrinkles, CosMedix Opti Crystal is the ultimate tool in anti-aging eye care. A chirally correct blend of protective, corrective and cell-stimulating ingredients, this powerful eye serum actively revitalises delicate skin for a radiant, younger-looking finish. The skin around your eyes is thin, delicate, and ages faster than other areas of your face. Give your eyes a fighting chance to look more youthful with the advanced formula in CosMedix Opti Crystal Eye Serum. 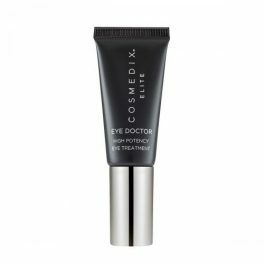 This eye treatment contains liquid crystals, alpha lipoic acid, and other cell-stimulating ingredients. 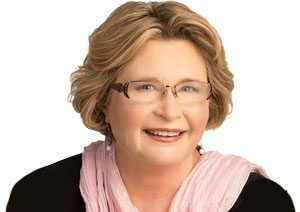 These help dramatically improve the look of fine lines and wrinkles. 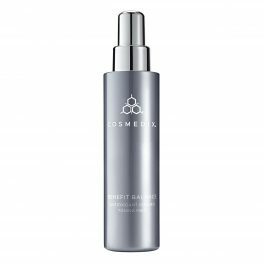 This serum is ideal for mature skin or anyone who wants to look younger and more radiant. 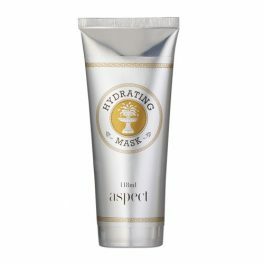 Just apply a small amount after cleansing and applying your other serums. It can also be used as a lip moisturiser to help smooth out lip lines. Add this eye serum to your facial routine and enjoy a more radiant, bright-eyed reflection in the mirror. It’s a versatile product that will change your face and improve your confidence. Cholesteryl Oleyl Carbonate, Cholesteryl Nonanoate, Cholesteryl Stearate, Phenyl t-Butylnitrone (Spin Trap), Oryza Sativa (Rice) Bran Oil, Zea Mays (Corn) Silk Extract, Eclipta Prostrata Extract, Melia Azadirachta (Neem) Leaf Extract, Moringa Pterygosperma Seed Oil, Melia Azadirachta (Neem) Flower Extract, Amino Esters-1, Coccinia Indica Fruit Extract, Solanum Melongena (Eggplant) Fruit Extract, Aloe Barbadensis Flower Extract, Simmondsia Chinensis (Jojoba) Seed Oil, Lawsonia Inermis (Henna) Extract, Ocimum Sanctum Leaf Extract, Ocimum Basilicum (Basil) Leaf Extract, Curcuma Longa (Tumeric) Root Extract, Corallina Officinalis Extract, Cocos Nucifera (Coconut) Fruit Juice, Thioctic (R-lipoic) Acid, Copper Gluconate, Glycerin, Potassium Sorbate, Alcohol Denat. It also works as a wonderful lip moisturiser. May be used day and night, however, as it is a little tacky it is often preferred at night. Initially eyes may feel a little tired. If this happens begin use slowly, twice weekly, and slowly increase to nightly. When a bottle of this has been completed and you are using a Vitamin A product, change to CosMedix Elite Eye Doctor, with its AGP it will give that added boost. This is simply magic in a bottle. This eye cream not only hydrates the eye area it has really reduced the severity of the dark circles under my eyes. I really recommend this product. My milia is slowing disappearing love it.